Shuttle service from the Airport. 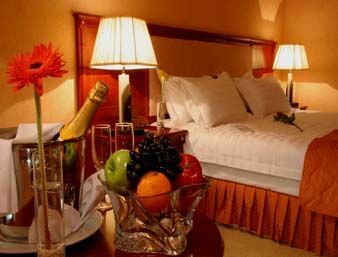 Free High Speed Internet in public areas and guest rooms. Two Restaurants, International and National cuisine. Pub Bar till late. 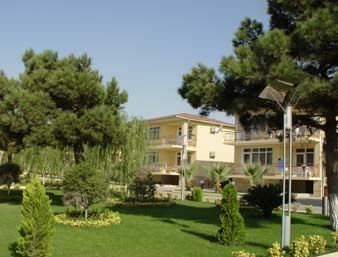 Ramada Baku hotel is located at the Sea side, beach. Provides private beach and sea sports. Half Olympic Indoor and Outdoor pool. Full equipped Gym. Sauna and Steam room. Playpen for kids. Airport VIP service. Tennis Court. Conference and meeting rooms. Banqueting. Business centre. Disco, Night Club. Outdoor car parking. Lobby bar. Patisserie. Outdoor pool bar. Exchange office. Cash draw machine. Drug store, souvenir shop. 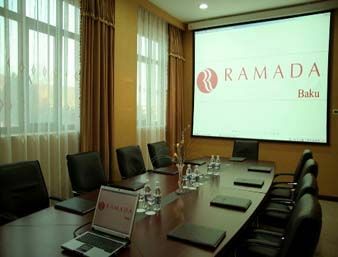 The Ramada Baku is located in Baku, Azerbaijan. Eight kilometres from the city centre Eight kilometres from Old City. 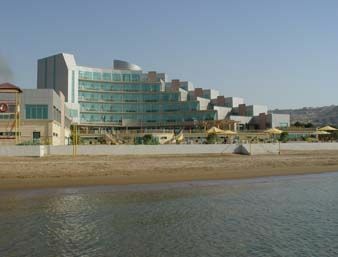 Ramada Baku hotel is located at the Sea side, beach. Provides private beach and sea sports. 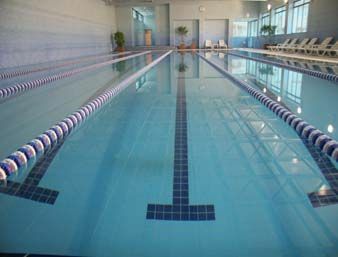 Half Olympic Indoor and Outdoor pool.